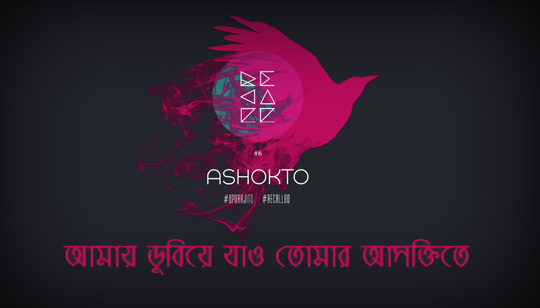 Ashokto Bengali Song from Recall Bangla Band Album Oporajito. This Bengali Song Lyrics written by Meraz Mohsin. This is the 6th track "Asokto" from album "Oporajito". কত দূরের এই পথ পাড়ি দিলে তোমার সীমা? আমায় ডুবিয়ে যাও তোমার আসক্তিতে..